This is an unofficial translation. See the original in Korean on the Gyeoremal-keunsajeon website. These rules, which appear as Chapter VII of the Transcription Principles of Loanword Transcription Examples, are not part of the official Loanword Transcription Rules, and parts have been superseded (crossed out and indicated below), but remaining parts (with some modifications) nevertheless continue to be applied in deciding standard hangul transcriptions. Apply the principle of writing the spellings ‘a, e, i, o, u’ as 아 a, 에 e, 이 i, 오 o, 우 u respectively. Write ‘ä’ as 에 e even if it is pronounced [æ]. Write ‘o’ (or ‘ó’ and such) as 오 o even if it is pronounced [u]. However, for Portuguese, write 오 o/우 u depending on the pronunciation (superseded in 2005 with the addition of rules for Portuguese). Write ‘i’ as 이 i without combining with the following vowel even if it is pronounced [j]. Write ‘j’ that is pronounced [j] as 야 ya, 예 ye, etc. in combination with the following vowel, and if it is preceded by a consonant, combine with the consonant as well. However, if it cannot be combined with the following vowel, write it as 이 i.  Write ‘y’ between vowels or in word-initial position as 야 ya, 예 ye, etc. in combination with the following vowel, and if it is between a consonant and a vowel, combine only with the preceding consonant. Write ‘u’ as 우 u without combining with the following vowel. However, if it is preceded by consonants [k], [ɡ], [h], [x], combine and write as 콰 kwa, 퀘 kwe, etc., but if the following vowel is ‘o’, then write as 쿠오 kuo, 구오 guo, etc. Write ‘w’ that is pronounced [w] as 와 wa, 웨 we, etc. in combination with the following vowel. If it is preceded by a consonant and it is one of [k], [ɡ], [h], [x], combine with the consonant as well and write 콰 kwa, 퀘 kwe, etc., and if it is another consonant, write it separately with 으 eu attached. Write word-final plosives with 으 eu attached, both for voiced ([b], [d], [ɡ]) and voiceless ([p], [t], [k]) sounds. Write voiced plosives between a vowel and a consonant with 으 eu attached, and write voiceless plosives as syllable codas, but if the following consonant is [l], [r], [m], [n], write with 으 eu attached. Apply the principle of writing ‘th’ as ㅌ t/트 teu and ‘ts’ as ㅊ ch/츠 cheu. Do not transcribe ‘h’ before a consonant or word-finally even if it is pronounced. Write ‘n’ as ㄴ n even if it is not pronounced [n]. However, when it is [ŋ], write as syllable coda ㅇ ng. In ‘ng’ between vowels, insert ㄱ g in writing even if [ŋ] [sic] is not pronounced. Do not write doubled consonants as doubled, even if they are doubled in pronunciation. However, write ‘-mm-‘ and ‘-nn-‘ as doubled regardless of pronunciation. Write ‘M + consonant‘ and ‘Ng + consonant‘ as 음- eum-, 은- eun- respectively, but write ‘Ng-‘ as 응ㄱ Eungg. Write ‘ão’ as 앙 ang, disregarding the ‘o’. Write ‘m’ and ‘n’ before a consonant or word-finally as syllable codas ㅁ m, ㄴ n respectively (superseded in 2005 with the addition of rules for Portuguese). Write all ‘s’ as ㅅ s/스 seu and all ‘z’ as ㅈ j/즈 jeu (superseded in 2005 with the addition of rules for Portuguese). Write place names of the form ‘-ore’ in India and the surroundings as 오르 oreu. This is an unofficial translation. See the original in Korean on the Gyeoremal-keunsajeon website. These rules, which appear as Chapter VIII of the Transcription Principles of Loanword Transcription Examples, are not part of the official Loanword Transcription Rules, but are nevertheless applied in deciding the standard hangul transcriptions. Write ‘y’ as 이 i. Write ‘ae, oe’ as 아이 ai, 오이 oi respectively. Write ‘j’ as 야 ya, 예 ye, etc. in combination with the following vowel, and write word-initial ‘I + vowel‘ also as 야 ya, 예 ye, etc. As ‘b’ before ‘s’ or ‘t’ and word-final ‘b’ are voiceless, write according to the transcription rules for [p]. Write ‘c’ and ‘ch’ according to the transcription rules for [k]. Write ‘n’ before ‘g’ or ‘c’ as syllable coda ㅇ ng. Write ‘v’ as ㅂ b even if it is pronounced [w]. This is an unofficial translation. See the original in Korean on the Gyeoremal-keunsajeon website. These rules, which appear as Chapter IX of the Transcription Principles of Loanword Transcription Examples, are not part of the official Loanword Transcription Rules, but are nevertheless applied in deciding the standard hangul transcriptions. Please note that this applies only to Ancient Greek, not Modern Greek. The original only refers to the traditional Latinized spellings, so the original Greek spellings and scientific transliterations have been supplied in lighter letters. Write ‘ae, oe, ou’ as 아이 ai, 오이 oi, 우 u respectively. Write ‘n’ before ‘g, c, ch, h’ as syllable coda ㅇ ng.